Kubota BX Series tractors. Meticulous engineering leads to legendary reliability and excellent value – hallmarks of a Kubota tractor. At Kubota, we listen to our customers to make improvements for real world applications. Quality, innovation and easy-to-use design – that’s a Kubota. Scroll down to see some of the top BX80 features, designed with you in mind. To see it in action, visit your local Kubota dealer. Easily fit through a standard garage door without having to fold the ROPS. The BX80 Series’ Rollover Protective Structure (ROPS) quickly folds without tools, letting the BX80 easily pass under low obstructions. The BX1880, BX2380, and the BX2680 all have a ROPS height of less than 84”, which makes storage in a garage or shed a snap. Kubota is known for its quality, reliability and longevity – you can’t fake a good reputation, it can only be awarded to you by your satisfied customers. With a flat operating station, tilt steering and a deluxe seat with armrest, the BX2380 and BX2680 offer comfort that is second to none in this class of tractor. Add to that the ergonomic placement of levers and the modern instrument panel and you have one of the finest operators stations ever offered on a sub-compact tractor. We know maintaining a beautiful yard is important to our customers. That’s why Kubota offers multiple high performance, mid-mount mower deck options on the BX80 Series. These mowers are built to last, providing our customers with years of satisfying use. 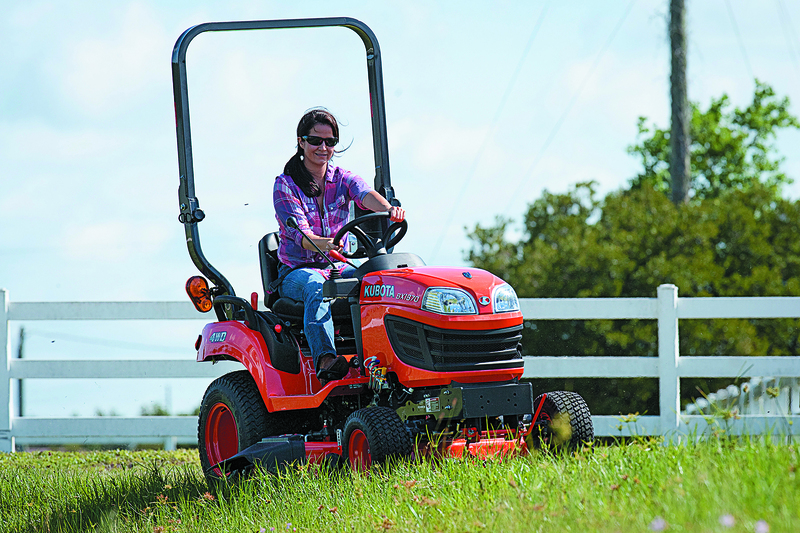 Are you interested in a Kubota sub compact tractor? Check out our inventory or let us know what you’re interested in and we will follow up!